With over 10 years of experience counselling families on nutrition and health, Sarah knows what health-conscious consumers are looking for when it comes to food–especially parents. And with her loyal following of thousands of parents on social media, she has the power to influence in a positive way. Having a leading Registered Dietitian stand behind your brand, gives it the edge that it needs to appeal to today’s health conscious consumer. Sarah will help to increase your company’s credibility and will help your product stand out against the competition. Sarah only works with companies and brands that align with her values (products that she would feed her own three kids!). Please contact me directly if you’d like to talk about how we can work together. 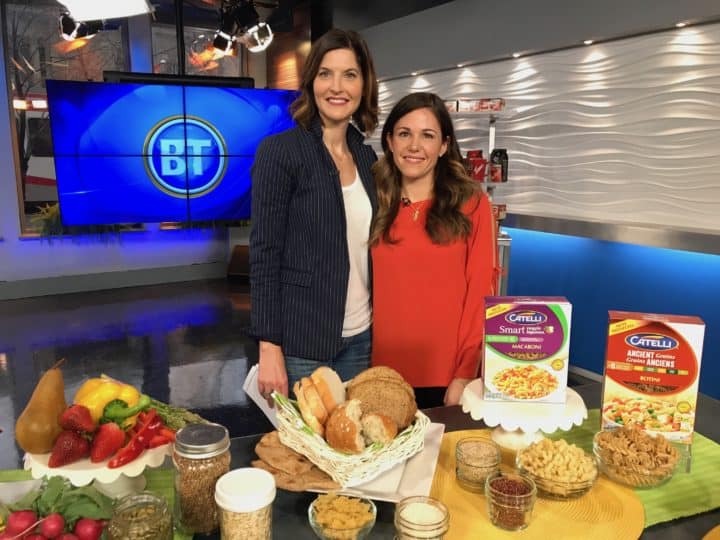 Sarah is known as Canada’s top childhood nutrition expert and is often asked to share her expertise on kids nutrition and feeding in the media (television, radio, print and digital). She works as a media spokesperson for products that she believes in and has been interviewed by many local and national publications on several nutrition and health topics and has contributed articles to both local and national magazines. Sarah is a sought-after nutrition and health blogger, and contributes regularly to the award-winning Canadian parenting blog, Erica Ehm’s yummymummyclub.ca, Alberta Milk’s More About Milk, Today’s Parent and more.